The Yamaha XSR700: Born Tomorrow. The Yamaha XSR700: Born Tomorrow.Some revel in the past. Others live for tomorrow. The New 2018 Yamaha XSR700, the latest in Yamaha Faster Sons philosophy, lets you do both, with its iconic styling and modern technology that delivers incredible performance and great value. 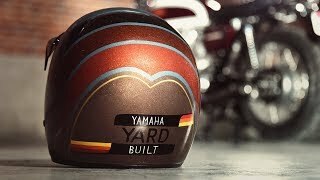 Yamaha Sport Heritage: Yamaha Yard Built: Subscribe to our "Yamaha Motor USA" YouTube Channel: For more Yamaha visit Follow us on: Instagram Twitter Facebook Pinterest Life can have many exciting, memorable experiences. Creating opportunities for them is what Yamaha is all about. XS650 & XSR700 Yard Built: "Fast Father & Faster Son" by Greg HagemanIn garages all over the world, Yamaha owners dream of creating their very own customized motorcycles. We seek to enable these dreams by asking talented customizers to provide inspirational ideas on how to transform modern Yamaha models into ‘Yard Built’ specials. In this edition, we would like to share with you the XS650 & XSR700: “Fast Father & Faster Son” Yard Build by Greg Hagemen. Based out of Bettendorf, Iowa, Hageman describes himself as “just a guy working in my garage”, but in reality, he has established himself as a premier builder with a true passion for building beautifully simplistic bikes. Hageman’s love for vintage Yamahas has led him to produce dozens of customs. One of them is his “Fast Father” XS project bike, using a nearly mint 1972 XS2 as a platform, he set about resto modding it with a focus on adding modern-day performance. When Hageman saw that Yamaha was bringing the XSR700 to the U.S. market, he proposed a project idea to Yamaha Motorcycle Project Manager Shun Miyazawa. 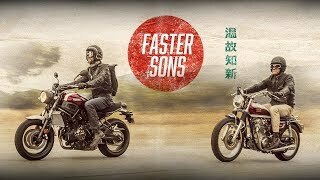 His vision was to use his XS650 “Fast Father” as inspiration and build a “Faster Son” version using the XSR700. Yamaha and Hageman both agreed the main criteria of the project be that it remains inspirational yet attainable—something the average rider could replicate in their own garage. Yamaha XSR700: Yard Built: SUBSCRIBE to "Yamaha Motor USA" on YouTube: Follow us on: Instagram Twitter Facebook Pinterest Life can have many exciting, memorable experiences. Creating opportunities for them is what Yamaha is all about.